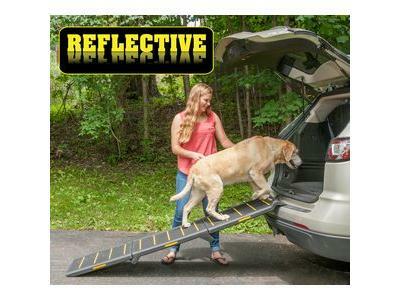 The Pet Gear Reflective Tri-Fold Pet Ramp Extra Wide helps your dog maintain confidence when gaining access into your vehicle or other hard to reach places. 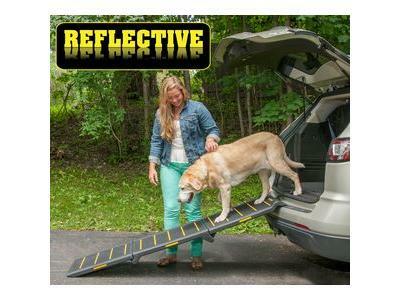 The ramp's surface features highly visible, reflective material that aids in guiding your pet up and down the extra wide ramp. The tread is skid-resistant, even when wet, keeping your pet steady. 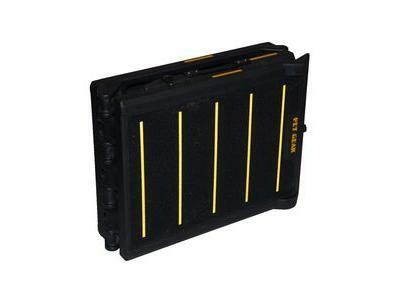 Side reflectors maximize safety by increasing the ramp's visibility when in use. 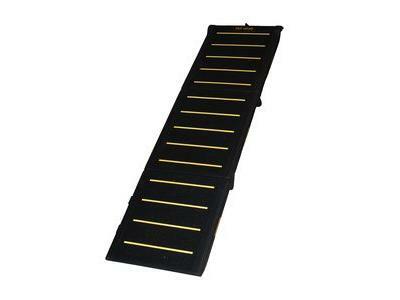 Rubber grippers on the bottom of the ramp help it maintain a stable position. 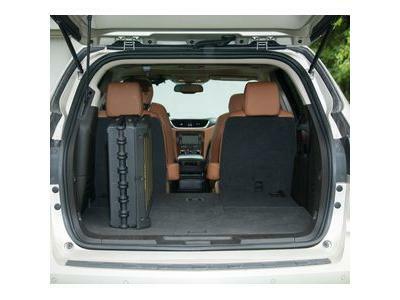 The folding design reduces storage space at home or on the go and the carry handle facilitates easy transportation.